Today's momoko IFDC 2015 will be sold at IFDC, held in Las Vegas, US in July 2015. 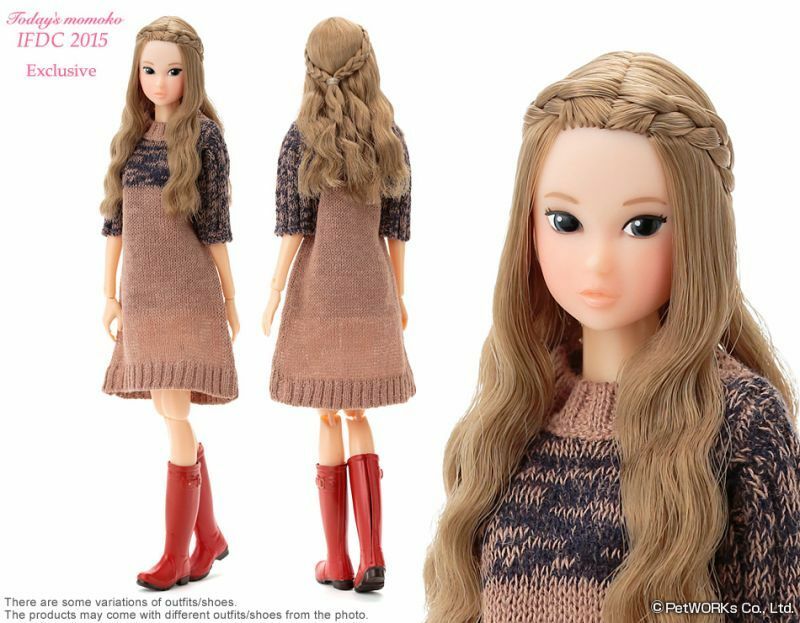 > Today's momoko IFDC 2015 will be sold at IFDC, held in Las Vegas, US in July 2015. Sold exclusively at the PetWORKs sales table at "IFDC 2015", held in Las Vegas, US. IFDC (International Fashion Doll Convention). July 8-11, 2015. # PetWORKs Stores have no plan to sell this item. - This item is "First Come First Served". - 1 each per person when there is a waiting line ( You can come in line again). #There are some variations of outfits/shoes. The products may come with outfits/shoes different from the photo. Eyes: Blue, Left-Glanced, Two Upper Eyelashes. Hair: Deep-Ash-Blonde, Wavy-Lonw with Braids. - This item is in a plastic bag, not in a box. - One-sixth scale fashion doll (27 cm tall with moveable joints) . - Do not rub hard on the product, it will cause the paint to chip/peel/fade off.- Knit outfit is fragile, should be treated with care. by once twisting them by you hands with rather strong power.